Twelve years later, I still remember my first Magic Grand Prix just like it was yesterday. In fact, I'm quite sure the memory will stick with me until the day I die. While other kids my age waited all year for their vacation to Disney World, or a chance to go watch their favorite sports team, once I'd played in my first big Magic tournament, the greatest joy I could've possibly imagined was simply playing in another one. I hope that anyone with the desire to play in a Grand Prix gets the opportunity to try it at least once. With the expanding GP schedule, it looks like those opportunities will become more frequent in the near future. Grand Prix Las Vegas, which will be played in a few weeks, will be the largest Magic tournament ever held. By far! There's really nothing that can compare to such a huge number of people coming together to share the excitement of a common interest. Attending a Grand Prix has the potential to be a truly excellent experience. However, big tournaments can be hectic, stressful, and emotionally charged. In this two-part series, I'd like to give you what advice I can to help bring out the best aspects of playing in tournaments, and avoid anything that might make your experience less than perfect. Most people will be entering a big tournament for some combination of three reasons. The first reason is to perform well in the tournament itself. Maybe they have their eye on the prize money, or maybe they just enjoy challenging themselves and want to play their best. The second reason is to learn and grow as a player (possibly to perform well in future tournaments). And the third reason is to have fun. None of these motivations are better or worse than the others. Personally, the reason I attend tournaments is pretty much an equal part of all three. The reality is that the three are closely related. Achieving all of them depends, first and foremost, on having a healthy and positive attitude. In my experience, it's much easier to play well when you're having fun. Getting overly frustrated will usually ruin your chance of taking anything of value from the experience. So the first thing I'd like to cover is setting goals for yourself as you go into a tournament. Different people have different ways of bringing out the best in themselves, so what works for me might be very different from what works for you. Nonetheless, clarifying your intentions and your expectations for the tournament will help guide you toward the experience you're looking for. My best advice on this topic is that your goals shouldn't be completely rooted in your final ranking in the tournament. Remember that Magic is a challenging game and has many random elements; no one in the world can do well in every tournament they enter. Moreover, there are two specific risks to setting a hard-line goal for yourself. Let's say you set a goal: "My goal is to make Day Two!" First, you might become stressed out and disappointed if you fall short, which can mean missing out on the other good things your tournament experience has to offer. Second, you make it harder for yourself to exceed that goal! Imagine you find yourself with a 7-1 record. You've already met your goal of doing well enough to come back for day two. However, you're doing very well in the tournament and might be in striking distance of a great finish! If anything, you should increase your efforts at this point, instead of being satisfied with what you've already done. The most helpful goals are the ones that you can work on regardless of how you're doing in the tournament. For example, "My goal is not to get distracted when I'm playing." Or, "My goal is to be very careful with my mulligan decisions." Or, "My goal is to forget as few of my triggers as possible." All that said, some people (myself included) are very goal-oriented and need targets to help them perform their best. If you're like me, I recommend using benchmarks. "My goal is to win every match I play, but I'll be proud of myself if I go 6-3 or better." Or, "If I don't win at least half my matches, I'll consider switching decks for next time." I'll be proud of myself if I can win at least nine matches (not counting byes). I want to make the best use of my sideboard that I possibly can. I want to stay focused and not get frustrated if I go on a losing streak. I want to play out every round, even if I'm out of contention to get a prize. (More on this to come in next week's article). Naturally, every player is going to have a different set of goals. What are your goals for the next tournament you play? I see players practice so hard for a tournament. They care so much and want to do well so badly. And yet some of these players, when the tournament gets close, destroy their hard work by not taking good care of themselves. Maybe they stay out too late the night before and don't get enough sleep. Maybe they show up late to their round and receive a game loss penalty. In one way or another, they squander their chances of doing well for the wrong reasons. For all the good that practicing does, it won't help you unless you show up on the day of the tournament ready to play your best. Do whatever you have to in order to ensure that you feel good, physically, on the day of the tournament. Every human being needs sleep, food, and water. Get to bed early, sleep well, and leave time for breakfast before you start playing. People can have individual needs as well. Do you like to have your coffee in the morning? Do you have a medication that you need to bring with you, or take before you leave? Is there a particular song or ritual that helps to get you in the zone? Personally, I like to stretch a little bit in the morning, especially if I've come off of an airplane or a long car ride the previous day. Otherwise, I'll feel uncomfortable sitting for so many hours straight at the tournament and that can negatively impact how well I play. In a perfect world, you should turn your eye toward feeling good at the tournament a couple of days in advance. I have one health-conscious friend who claims that the amount of sleep he gets on Wednesday and Thursday nights has more to do with his tournament performance on Saturday than how much he sleeps the night before the event. Remember, these are long days, so if something like a small improvement in your diet, or a small amount of cardiovascular exercise can increase your physical endurance, these things can make a difference. Equally important is being in a positive and focused state of mind. I've already touched on the fact that disappointment and frustration can ruin the rest of your tournament. The same is true of stress. Anything you can do on Friday night that will make Saturday morning less hectic is a good idea. Double check that you're registered for the event. If it's Constructed, have your deck built and your bag packed. If you're coordinating travel with friends, make sure everyone is on the same page. You already have enough on your plate playing the tournament, you don't need extra stress like rushing to find a card you need or waiting on a friend who thought the tournament started an hour later than it did. Along those lines, don't choose travel companions who won't allow you to be at your best for the tournament. If a friend is doing something that bothers you, bring up the issue with them. If they're still doing it, consider not traveling with that person the next time. You don't have to stop being their friend, but if you're routinely showing up at tournaments overtired or stressed out, you should most definitely make some kind of change. Any problems you've been having at home, work, or school—set them on the shelf when you leave for the tournament and pick them back up when you get home. 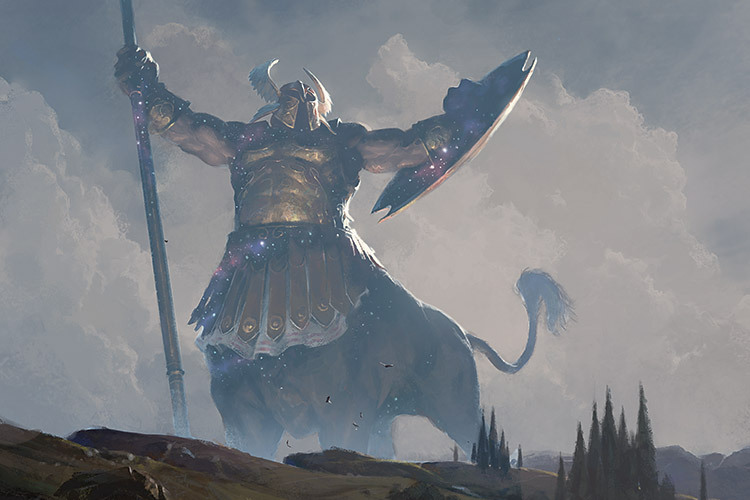 If you've decided to take the weekend off to play Magic, then that's exactly what you should do! You'll enjoy it more and perform better while you're playing if you're not worrying about how your boyfriend or girlfriend at home might be mad at you. Finally, you might need to cut off your practice at a certain point. Playing a few games in the hotel room the night before the tournament is fine as long as you're having fun. Long hours of play dragging on toward midnight the night before the event is usually a bad idea. It can cause burnout and frustration, and you'd rather go in fresh. 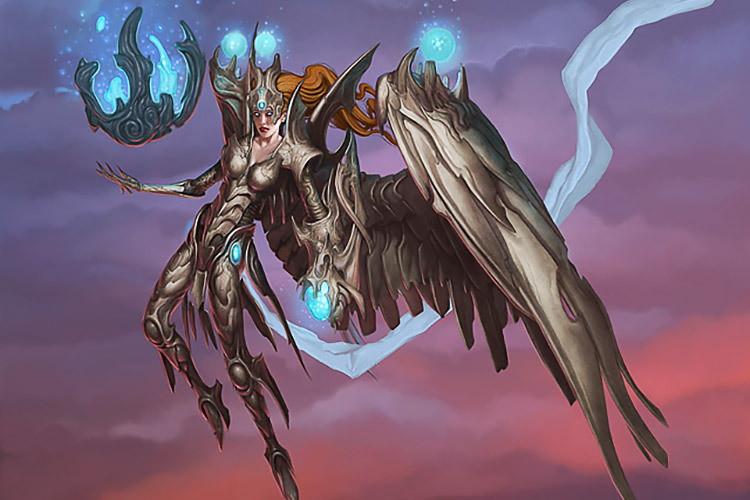 If you're practicing for a Constructed tournament, you might wind up second-guessing yourself and changing cards in your deck or switching strategies entirely. In my experience, this is typically more harmful than helpful. I like to play a lot Monday through Thursday before a tournament, and then take Friday as a light day. 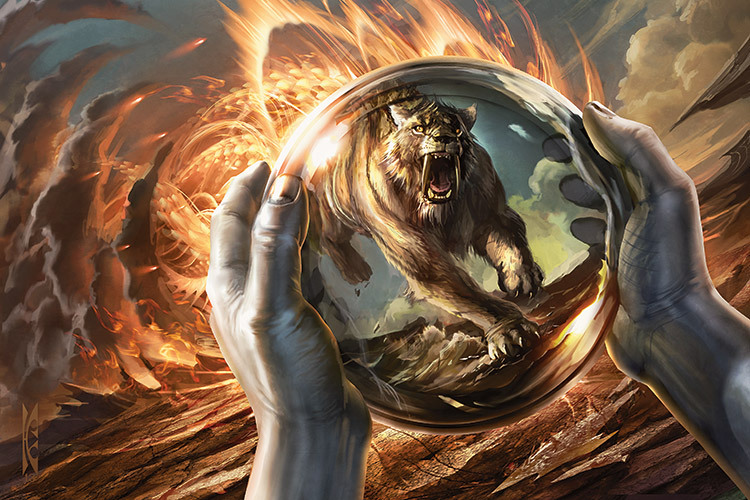 You'll truly face all kinds of opponents at a Magic tournament, especially a Grand Prix. They might be any age, gender, level of experience, they might come from any part of the world, and sometimes might not even speak the same language as you. The only thing that's certain is that they'll love Magic, just like you do. Don't let the thick air of competition make it hard to breath. Sure, you're trying to beat each other, but the simple fact that you're sitting across from someone and playing Magic is a pretty good reason to be friends—at least in my book. There's definitely no reason to ever feel intimidated by an opponent, or to have a serious conflict with them. If they're nice to you (which the vast, vast majority of your opponents will be), you can be nice to them. 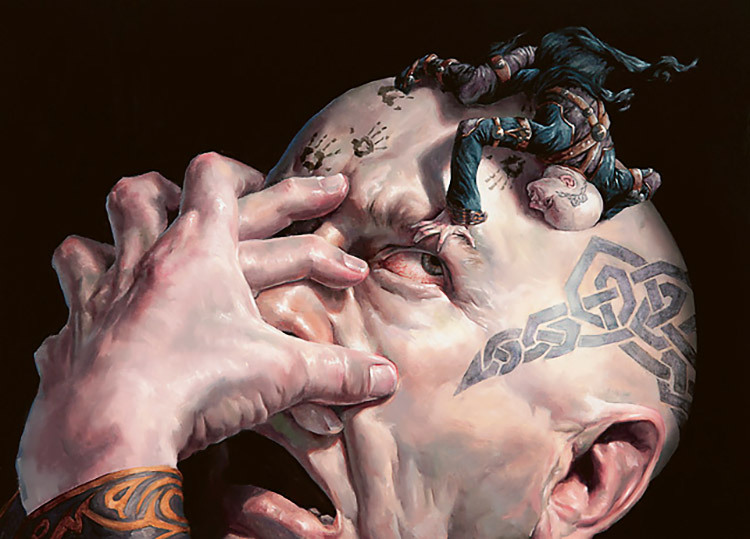 If they're mean, annoying, or overly-competitive, you can simply tune out anything that bothers you and just play Magic. It's easy, I've done it this way for over a decade! Playing against a stranger in a tournament setting really isn't much different from playing with a friend at home. The most important thing is just to communicate well, and make sure both players are very clear about what's going on at all times. Last week, I talked in detail about the "proper way to cast a spell." Take that level of precision to everything you do in the game, and insist that your opponent does the same. Announce everything clearly. If you're unsure exactly what your opponent is doing, ask for clarification. If a particular turn is shaping up to be complicated, just take it slowly, one step at a time. I'd like to put an extra emphasis on the fact that you and your opponent should always be crystal clear on both players' life totals. Keep track of both life totals with pen and paper. Verbally confirm any time there's a change in someone's life total. If you see that your opponent has an incorrect life total written down, you are required, by the rules, to clear up any confusion. The last thing you want is to make a decision thinking that you're at 8 life when you're really at 6 life. Worse yet, you don't want a life total discrepancy to go by for a few turns—until it might be too late to correct it. Just a moment ago, I encouraged you to be friendly with your opponents. Remember also that you are playing in a tournament, so the rules will be enforced strictly and precisely. Thankfully, these two things are not mutually exclusive so long as everyone is on the same page. It goes without saying that there are no take-backs in tournaments. If you make a mistake and your opponent holds you to it, he or she isn't being a jerk, they're just playing by the rules. Never fault someone for doing exactly what the rules say while playing in a tournament. If you don't want to be a cutthroat player, you certainly don't have to be. However, you do need to be prepared, when you enter a tournament, to play seriously and precisely. Which brings us to the messy topic of cheating. Cheating does happen in Magic tournaments, and it would be naive to think otherwise. Thankfully, it's not something you should live in fear of, and I feel confident saying that it won't ruin your tournament experience. Most players want to play an honest game anyway, and those that don't are kept in check by the vigilance of judges and other players. All that said, it never hurts to protect yourself. Any time Player A shuffles his or her own deck (either before the game or after using a Windswept Heath, etc. ), Player B is allowed to shuffle Player A's deck as well. I encourage you to shuffle your opponents' decks. Similarly, if something seems fishy, don't give your opponent the benefit of the doubt, clarify the situation. In either of these cases, it's important to remember that you're not accusing your opponent of cheating. (Accusing someone of cheating can be taken very seriously.) You're just taking the normal measures that are expected of tournament players. Next week, we'll discuss the role of judges, who can help you with the above issues and many, many, many more. Until then, use the advice from this article to make sure that your tournament experience is the best one you can have.